A long-time reader, Robert, pointed out an excellent article in Christianity Today’s Leadership Journal, “Farewell, Cultural Christianity” by Russell D. Moore, one of the Southern Baptist Convention’s leaders and rising stars. As they say, read the whole thing. The gist: Recent changes in American culture will shake the American Church but in a positive way, forcing out nominal Christians who drain the Church’s vitality, and leaving us with an energized remnant. While this is not a new idea, the article has some good insights. Moore notes churches have focused too much on delivering a Gospel of self-help that appealed 20 years ago to lost people but not today, which is true. He also notes that our past political engagement and “values voting” are obsoleted by an America that learned to value other ideas more. Again, worth the read. I like Moore. He’s not afraid to say it like it is and to question sacred cows. But as much as the article makes good cases, it reveals blinders representative of many leaders in the American Church. Those who were nominally Christian are suddenly vanished from the pews. Those who wanted an almost-gospel will find that they don’t need it to thrive in American culture. As a matter of fact, cultural Christianity is herded out by natural selection. That sort of nominal religion, when bearing the burden of the embarrassment of a controversial Bible, is no more equipped to survive in a secularizing America than a declawed cat released in the wild. Who then is left behind? It will be those defined not by a Christian America but by a Christian gospel. He’s absolutely right about nominal Christians. They’re dropping out. What he misses entirely though is that those who are leaving our churches are not all nominal Christians. In fact, it can be argued that the exodus contains a frighteningly large percentage of those who are our most devout believers, the so-called Dones or De-Churched. You can read about them all over the Web. These are not nominal, cultural Christians. These are the folks who worked in the nursery for years, veteran Sunday School teachers, elders, the 20%, seasoned missionaries, and even pastors. It’s not that they’ve lost their faith. It’s that the present way we do church in America became too taxing, stifling, lonely, frustrating, and debilitating, and it left them with no other choice than to walk away–for their own spiritual, mental, and physical health. We must ask this: Is the empty pew a result of cultural Christians fleeing genuinely Gospel-centric churches, or is it the result of Gospel-centric Christians fleeing culture-centric churches? My bet is the latter is just as big, if not a bigger, reason. And doesn’t every church leader think his/her church is Gospel-centric? Who then will own up to the present exodus of Gospel-centric Christians? It’s frustrating to read the Moore piece and think he’s ignoring the Dones / De-Churched or that he’s lumping them with the nominals and saying, “Good riddance.” But the lack of mention is telling. Again, this is someone who leads America’s largest denomination. The blame instead shifts to those who left, with little reflection on those who once led them. Convenient. I think Moore is misunderstanding again. But the real question, the one at the heart of the church exodus, whose mis-answering has plagued the American Church for the last 100 years or so, is this: What is the Gospel? The term moralistic, therapeutic deism defines a good chunk of the central teaching of many churches in America. It’s Old Testament Law wrapped in an American flag and the Protestant Work Ethic, then blessed by Oprah Winfrey and Sigmund Freud. But it’s not the Gospel. Some may call it the Gospel, but it’s actually anti-Gospel. Personally, I think the exodus of devoted Christians from the American Church is as much due to a failure to have the Gospel preached to them as it is with anything else. People have had it with performance-based Christianity. Grace, the very heart of the Gospel, may be the single most lacking element in American Christianity. That dearth ultimately drives away those who need grace the most. Sadly, even churches and leaders who claim to be Gospel-centered fall back on preaching a moralistic melange when it directly benefits them. The resulting confusion further alienates the most discerning, those who can’t reconcile mixed messages, especially those messages proclaimed in the name of God. If Moore wants to say farewell to the flee-ers in a way that honors God, as a denominational leader, he needs to own up to the American Church’s hand in creating not only the nominal, cultural Christian, but also the Dones / De-Churched. Until then, church leaders around this country will have no answers to stemming the exodus, continuing to preach a pseudo-Gospel to the self-justified for which they will one day answer. 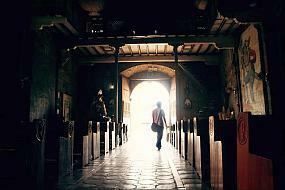 Christians in America: The New Minority? Moore is one of my favorite writers but like so many of the public leaders of the church he suffers from institutional myopia that only allows them to understand the church in terms of pews and pulpits. As one of the more or less “dones” I am not less fervent for the faith but in many ways more so but that doesn’t mean that I feel obligated to show up and sit in a pew on Sunday. I sometimes still do to see people we love but not because I feel that I need to in order to be counted among the faithful. Hmmm……. the last time I checked I have more of a vibrant faith then when I was a part of the IC. Maybe the church needs to ask why??? it is losing their members and be honest and humble. spiritual abuse, comes from within the institutional church? The covering up of these crimes are astounding also. Maybe we are so “done” with this and want to use our gifts that God has given us more freely. Maybe we want to give our monies to whomever we feel the Holy Spirit wants us to. Heck, maybe instead of a pastor we are listening to God alone. I have found freedom on the outside of the four walls of the church, I am the Church (as is my Methodist, Presbyterian, Catholic, Baptist, etc. brothers and sisters who believe in Jesus Christ).